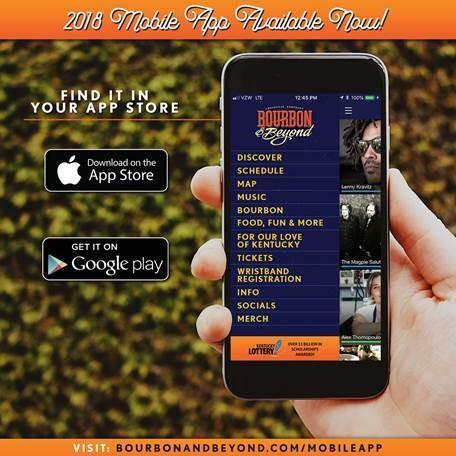 LOUISVILLE, Ky. (September 5, 2018) – Bourbon & Beyond music festival has launched a new mobile app to use at the second annual festival at Champions Park Saturday, September 22 and Sunday, September 23. Through the app, attendees can build their own schedule, learn more about the artists and personalities appearing at the festival and get the latest must-know information through push notifications. The app is available to download through the Google Play and Apple stores. 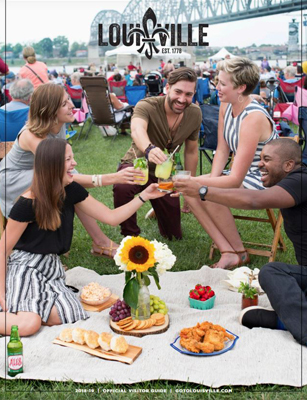 The schedule of events for Bourbon & Beyond has been announced offering a weekend of bourbon, area food and music assembled by festival producers Danny Wimmer Presents along with local culinary curator Edward Lee and bourbon curator Fred Minnick. In addition to sets from Sting, Robert Plant And The Sensational Space Shifters, John Mayer, Lenny Kravitz, Counting Crows and David Byrne and many more on three stages, there are workshops from the many distilleries present at the festival, plus demos from culinary experts Tom Colicchio, Stephanie Izard, Aarón Sánchez and Ray Garcia on The Mash Stage. 4:50 PM - Brian Setzer’s Rockabilly Riot!